The government’s ambitious target of building one million new homes by 2020 depends on buyers being able to trust that their new homes are built to a high standard and that any faults will be dealt with efficiently. That trust, however, is in short supply. 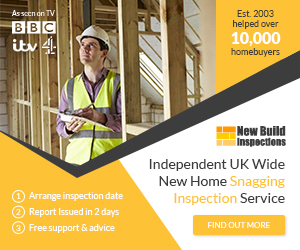 Housebuyers are voicing concerns over the failings of the warranties on offer for new homes, including those from the National House Building Council (NHBC), an independent, non-profit distributing company. Angry homeowners say the NHBC’s failure to carry out detailed inspections has caused big problems across the country. Some say the warranties aren’t worth the paper they are written on. Housebuilder Bovis’s depressing financial results on the back of disgruntled customers and poor quality homes, sounded a note of alarm.